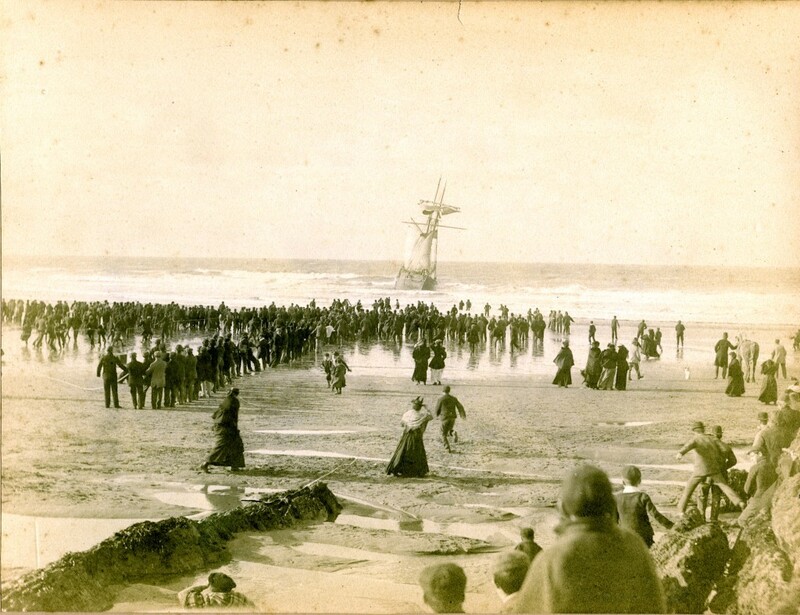 Wreck of "The Giles Lang" on Crooklets Beach, Bude on 8 November, 1896. On the left is a "Rocket Team". “"Giles Lang", Crooklet's Beach, Bude, 1896,” cornishmemory.com, accessed April 20, 2019, http://cornishmemory.com/item/BHC_18_025.